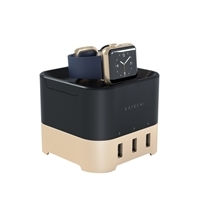 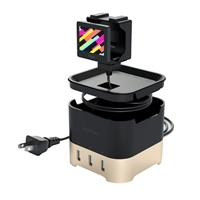 The Satechi Smart Charging Stand charges, docks, and showcases your Apple Watch, FitBit Blaze, or smartphone. 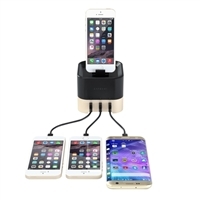 Designed with convenience in mind, simply place your device atop the stand for hands-free access whiles your device charges. 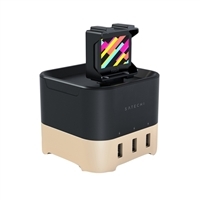 Featuring an additional three USB ports at the base, you can charge up to 4 USB-powered devices at once.